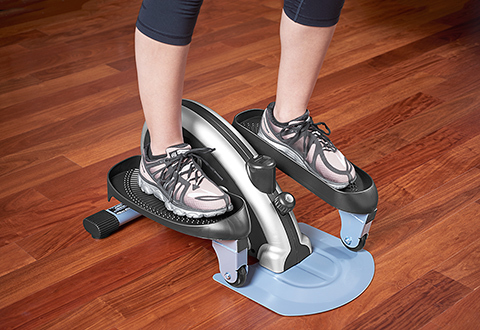 Enjoy the benefits of elliptical exercise at home with the Compact Elliptical Trainer. 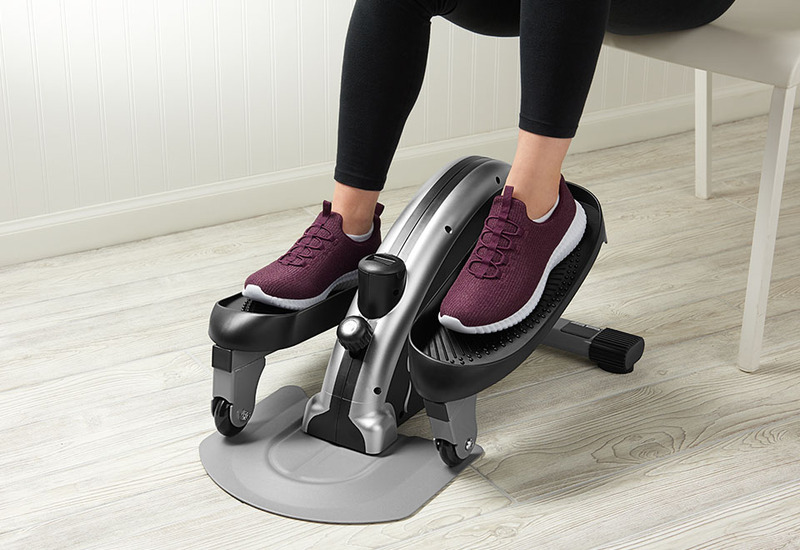 It gives you a great low-impact workout that burns calories at a rate comparable to jogging, but is easier on your back, knees, hips and ankles. 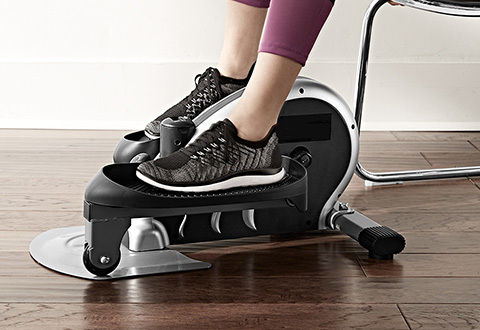 This cordless trainer features adjustable, customizable exercise programs, with an LCD screen to measure your progress. 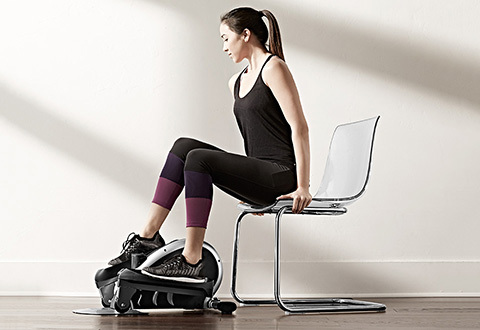 The portable design is small enough to store in a closet or stow under your bed or desk. Some assembly required. The Compact Elliptical Trainer's streamlined design include footpads that provide stable footing as you're working the pedals, and because there are no handlebars for support, it gives your abdominal muscles a terrific workout as you keep balance. 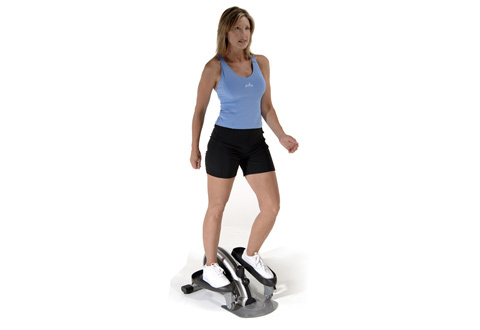 The foot pedals can also be worked forward or backward to target different areas of your lower body. It has an LCD display that shows your number of strides per minute, total strides, exercise time, calories burned and lets you scan all stats stored in its memory. 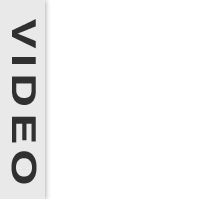 Includes LR44 battery. 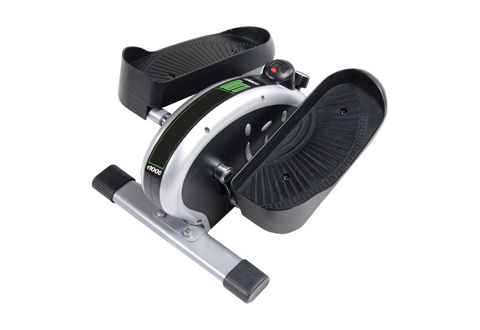 The Compact Elliptical Trainer features a sturdy steel frame that supports up to 250 lbs; some assembly is required. • Steel frame supports up to 250 lbs.